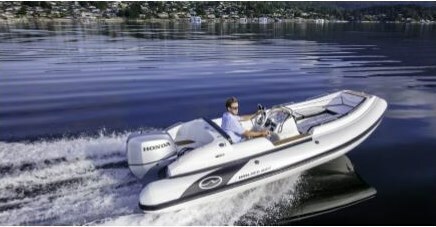 The Generation 525 is Walker Bay’s newest and largest of five Generation series Rigid Bottom Inflatable (RIB) boats from eleven to seventeen feet. 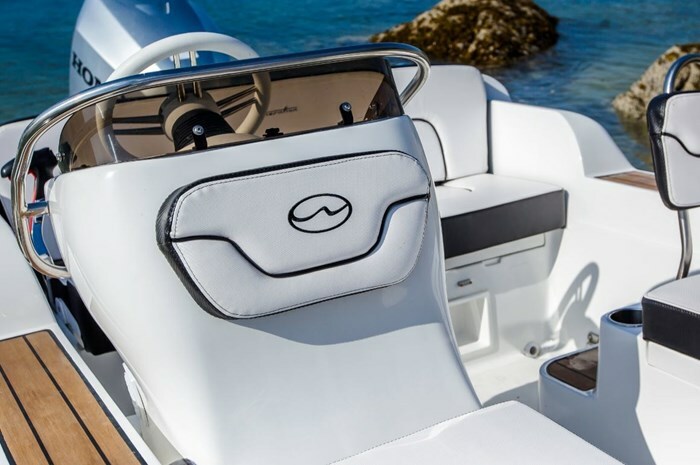 Walker Bay refers to this new model as the Generation 525 Luxury Yacht Tender, but this boat can be much more than simply a yacht tender. It has many of the attributes and features of a multi-purpose bowrider-style runabout for cruising, exploring, and watersports fun. Walker Bay, a boat builder for over twenty years, produces three categories of on-water fun: Airis Inflatables offering a range of inflatable watercraft including stand-up paddleboards, kayaks, and “docks.” Then there is the Dinghies and Sail Kits category of both rigid and inflatable smaller dinghies and rowboat-style boats with and without mast and sail attachments. The third category is this Generation series of rigid bottom inflatables. 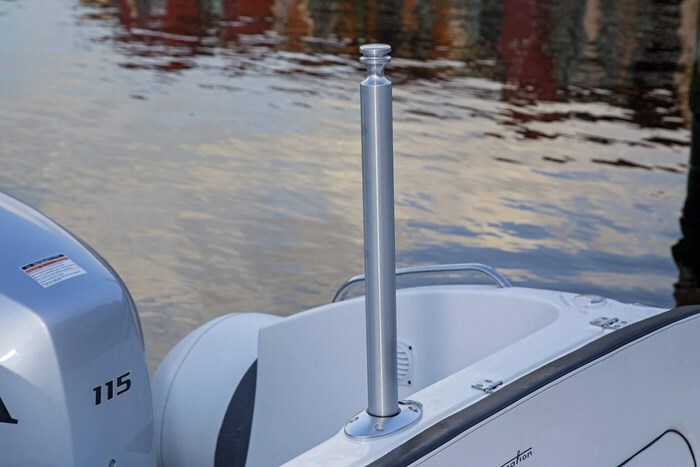 At 17-feet, 2-inches LOA (or 5.25 metres and thus the model designation) on an 8-foot, 4-inch beam with a rated capacity for ten persons and a maximum horsepower capacity of 115, this is not by any stretch your small putt-putt dinghy. 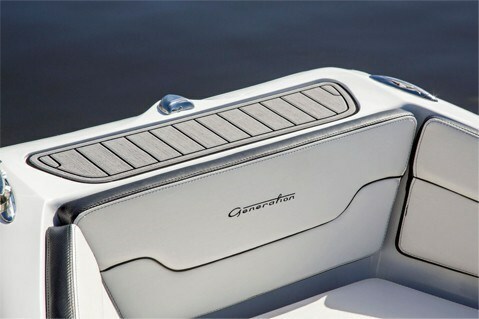 This is a serious side-console style pleasure boat ready and able to satisfy your on-water fun quotient. The driver’s starboard side molded fibreglass console is placed roughly mid-ship along the Generation 525’s length and is equipped with a tinted windscreen surrounding which is a stainless steel protective grab handle. 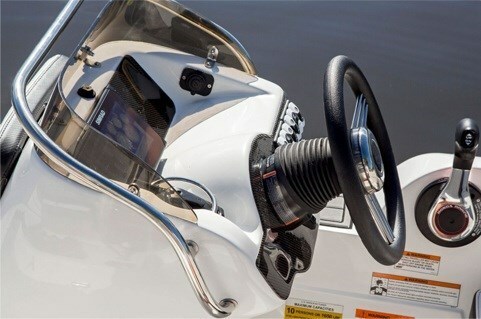 The dash with visor displays the normal complement of outboard analog gauges, DC switches, 12-volt power outlet, plus a stainless steel drinkholder. The sporty looking thirteen inch diameter tilting steering wheel is equipped with standard hydraulic assist. A full-beam comfortable two or cozy three person bench seat with storage below backs onto the transom just ahead of the motor well and the driver’s portion of this seat has a flip-up forward bolster. Both port and starboard recessed gunnel step pads assist ease of entry into or out of the cockpit. On the port side, a lower molded-in cockpit step pad adds further assist as does a removable seatback cushion/leaning post with a stainless steel steadying grab handle. The bow deck of the Generation 525 is squared off as are its surrounding inflatable tubes above and over the deep-vee of the hull entry thus not only providing increased U-shaped bow seating but also providing the added benefit of potentially less bow spray entering the boat. Another recessed gunnel step pad right at the bow assists entry here. Surrounding coaming padding provides backrests for the bow bench seating with storage beneath the seat bottom cushions of which two of these storage compartments are insulated cooler lockers. A total of four stainless steel gunnel-mounted safety grab rails serve this large bow seating area. The front face of the driver’s console plus the removable padded backrest/entry grab handle on the port side both act as backrests for forward facing lounging in this bow area. Four stainless steel pop-up cleats are provided as are a total of five stainless steel cupholders plus LED courtesy lighting and a 10-gallon capacity fresh water shower. Seven stainless steel davit lifting points are also provided along with two davit lifting point options. 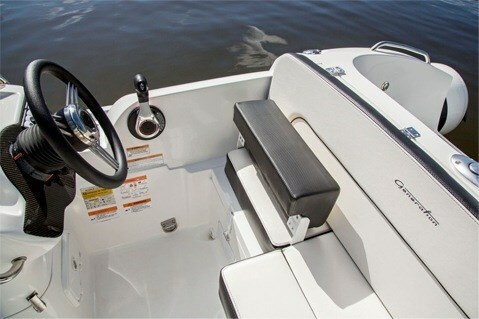 Two more entry steps on each side of the motor assist in stern entry/exit plus easy water access. Walker Bay is proud of its DuraTech™ fibreglass construction process utilizing a more environmentally friendly and more precise closed-mold vacuum molding process along with a Polyurethane Composite Micro Stringer System with positive flotation. The 32-gallon fuel tank is integrally positioned within the bow keel section of the Generation 525 to assist in optimizing weight distribution. The twenty-inch diameter inflatable tubes surrounding the fibreglass hull have a total of five separate chambers and are available with your choice of either ORCA® CSM or Heytex® PVC fabric. Walker Bay claims that, “ORCA® CSM is the best tube fabric available and is engineered to withstand high UV exposure in tropical climates” and guarantees it for ten years. It also says that, “German made Heytex® PVC offers a combination of rugged durability and value” and guarantees it for five years. Choose your brand of outboard power up to a maximum of 115 horsepower. Walker Bay recommends 90 horsepower as ideal and also recommends a maximum speed of 40 knots (approximately 46 mph). 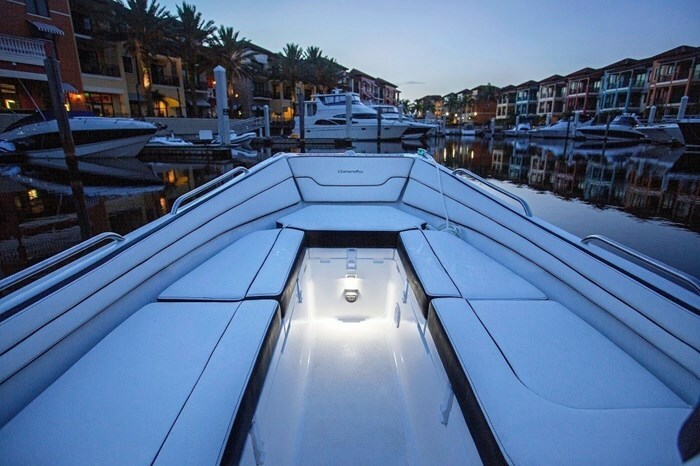 The only factory available optional equipment are a boarding ladder, retractable ski-tow pylon, bow area sunpad filler cushions, plus a highly recommended Sunbrella® boat cover. The Walker Bay Generation 525 RIB: a Luxury Yacht Tender – certainly; an all-round multi-purpose bowrider runabout – absolutely.